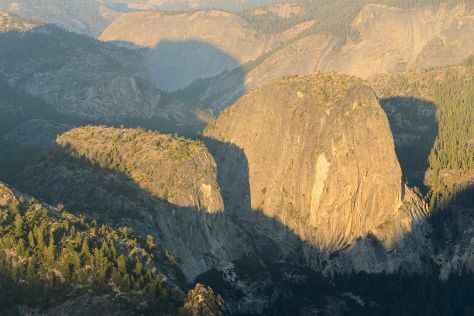 On the 23rd (Sat), you'll have a packed day of sightseeing: explore the striking landscape at North Dome, then take in the dramatic natural features at Glacier Point, and then take in the awesome beauty at Cathedral Beach Picnic Area. Use Inspirock's suggestions to plan your Yosemite National Park trip and find the best activities and attractions for your vacation. Kansas City to Yosemite National Park is an approximately 10-hour combination of flight and car. You can also do a combination of flight and bus; or drive. Traveling from Kansas City to Yosemite National Park, you'll gain 2 hours due to the time zone difference. Traveling from Kansas City in March, plan for little chillier nights in Yosemite National Park, with lows around 23°F. Finish up your sightseeing early on the 24th (Sun) so you can go by car to Carmel. Carmel-by-the-Sea, often simply called Carmel, is a city in Monterey County, California, United States, founded in 1902 and incorporated on October 31, 1916. On the 25th (Mon), enjoy the sand and surf at Pacific Grove Shoreline Parkway Marine Refuge, then contemplate the waterfront views at Monterey Bay, and then immerse yourself in nature at Point Lobos. Plan my day in Carmel using traveler tips and tourist information provided by Inspirock. You can drive from Yosemite National Park to Carmel in 5 hours. Other options are to do a combination of car and flight; or do a combination of car, flight, and shuttle. While traveling from Yosemite National Park, expect somewhat warmer days and much hotter nights in Carmel, ranging from highs of 64°F to lows of 47°F. Finish up your sightseeing early on the 25th (Mon) so you can go by car to San Francisco. Kick off your visit on the 26th (Tue): take in the views from Golden Gate Bridge and then explore the wealth of natural beauty at Alcatraz Island. To find more things to do, traveler tips, photos, and other tourist information, read our San Francisco planner . You can drive from Carmel to San Francisco in 2.5 hours. Alternatively, you can fly; or take a bus. March in San Francisco sees daily highs of 65°F and lows of 50°F at night. Wrap up your sightseeing by early afternoon on the 26th (Tue) to allow time for travel back home.